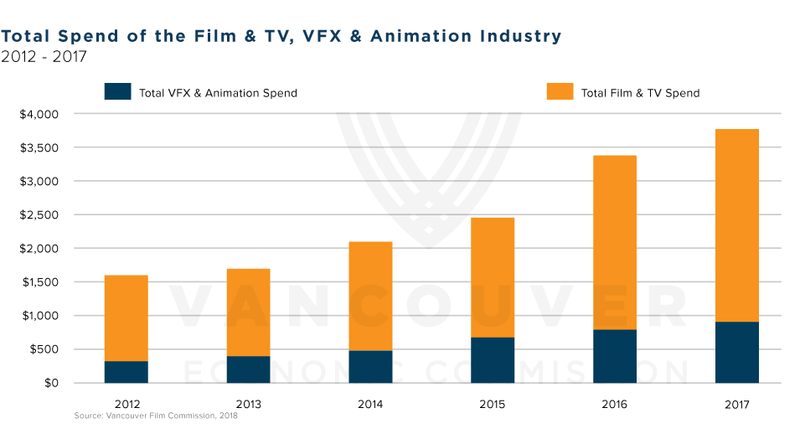 New research by the Vancouver Film Commission (VFC) corroborates the staggering growth similarly observed by Creative BC. According to the data from our independent study, the total spend of B.C.’s film & TV industry has more than doubled in the last six years, from an estimated $1.6 billion in 2012 to $3.8 billion in 2017 – an increase of 135 per cent. These numbers prove that Vancouver and the region remain firmly established as North America’s third largest film & TV production centre, and the largest and busiest production hub in Canada. This success is set to continue playing a fundamental role in Vancouver’s economic future. Vancouver is proud to be the anchor of the region’s film & TV industry. Thousands of professionals form the bedrock of Vancouver’s world-leading VFX and animation sector, and thousands more comprise the world-class film & TV crews, state-of-the-art studios and equipment vendors, bolstered by the celebrated talent that built global confidence in our city’s capacity to deliver world-class productions. The Vancouver Film Commission warmly congratulates all who have played a role in the 12 per cent growth experienced in this sector in 2017. We look forward to continue building upon these research insights to ensure the future success and resilience of this industry. The VEC has calculated that the total direct spend of the Film, TV, VFX and Animation industry in 2017 is $3,761,212,191, or approximately $3.8B. This is an increase of 11.9% since 2016. Responsible for driving growth and innovation in Vancouver’s physical film production industry, David Shepheard is Vancouver’s first dedicated Film Commissioner and a seasoned industry leader bringing over 17 years of experience as a film commissioner to the table. He has played key roles in setting up multiple other film agencies around the world. 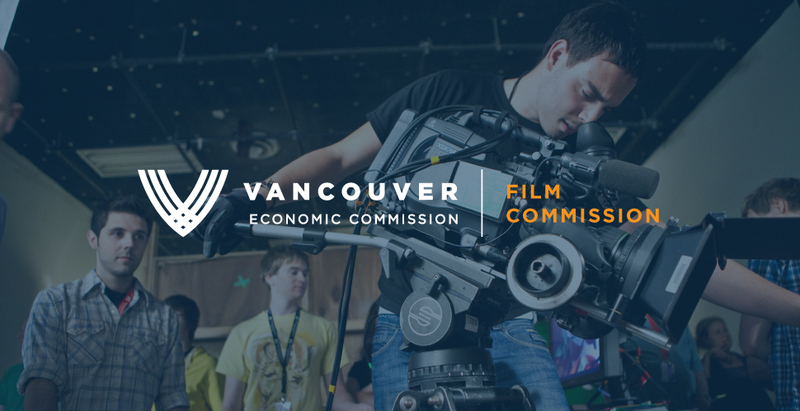 The Vancouver Film Commission (VFC) provides tailored services for investment intelligence and business development in Vancouver’s film & TV production industry. When reaching out to us, you benefit from decades of experience in global film commissions and sector development services that support creative businesses. The VFC is an operational department of the Vancouver Economic Commission (VEC).